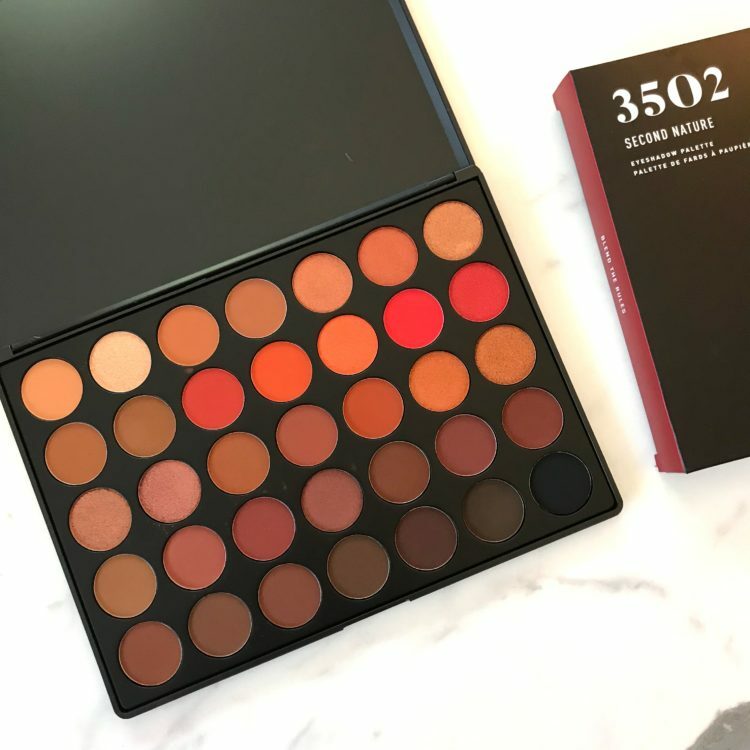 I actually got this palette because I had the Morphe 350 palette. It had been long awaited and I’d just started enjoying it and was ready to post about it and then we had visitors to stay. 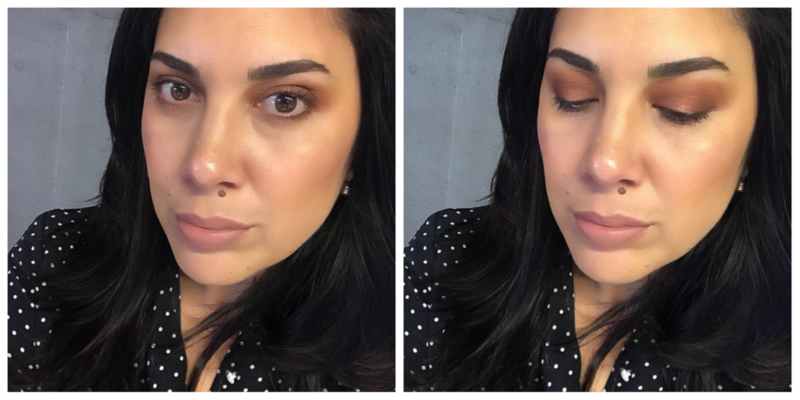 When they left so did quite a bit of my makeup, including my 350 palette, and a whole lot of Mac eyeshadows (note I don’t want to throw shade, just wish them well and hope they create lots of amazing eye looks), but I digress. I decided that rather than replacing it directly, I would purchase the new 3502 palette and see what all the hype was about. Firstly this packaging, although in the standard plastic palette, was rebranded. The box that it came in had a beautiful high-build spot UV, making it feel more premium, and it was just gorgeous. The palette itself is standard, with the new logo and no mirror, as usual. It came with a plastic cover that featured all of the names – this was new. It featured a glorious selection of 35 warm colours, in mattes and shimmers, and laid out to precision. 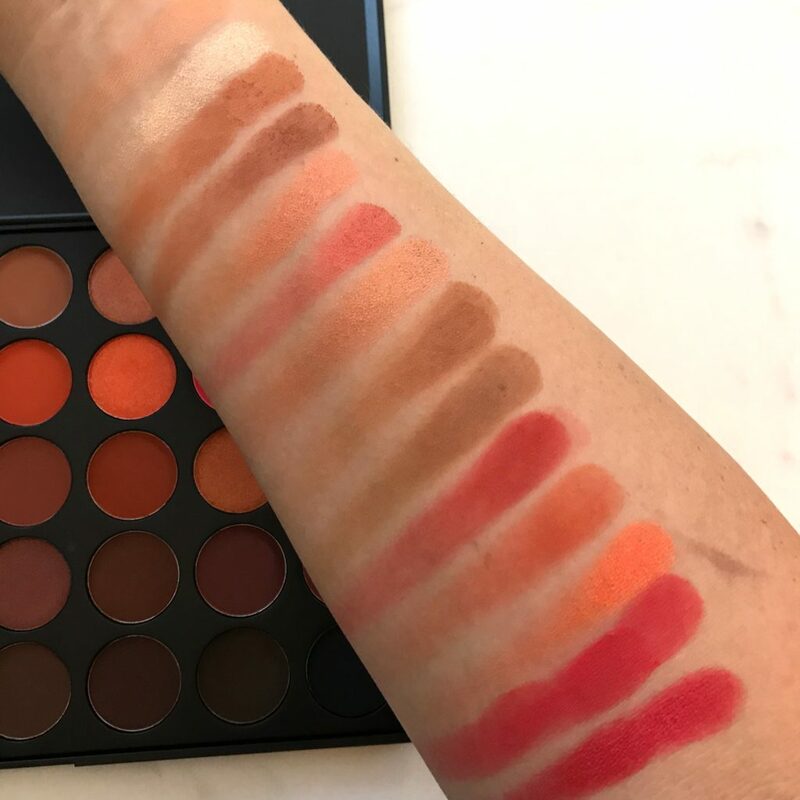 Immediately on swatching, I could tell that this formula was different to the standard 350 palettes. The were buttery and smooth to swatch BOTH for mattes and shimmers and there isn’t a dud in the whole palette. 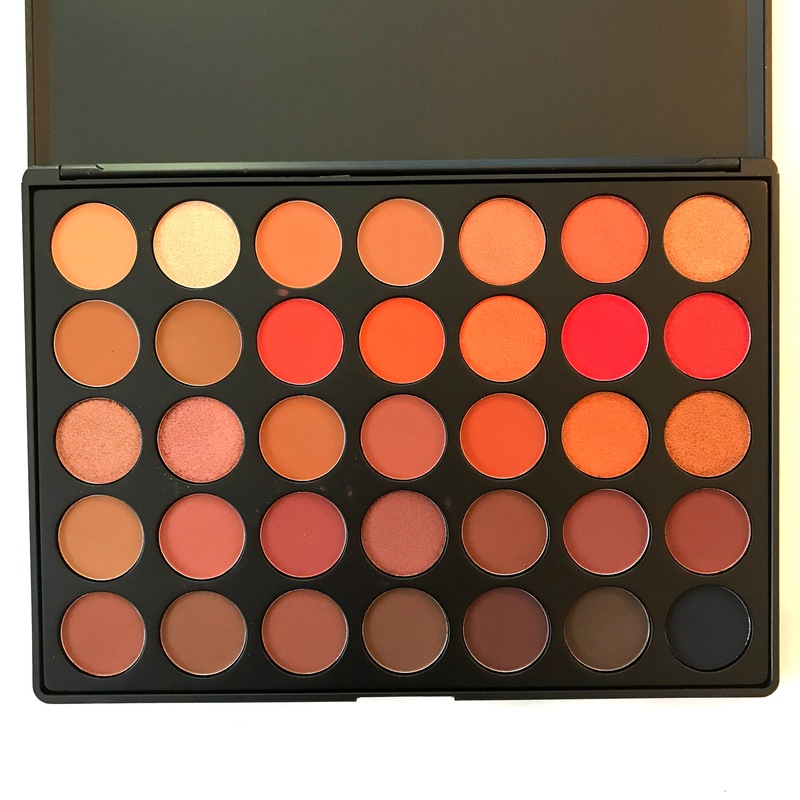 The colours are super vibrant right from the strongest oranges through to the matte transition shades right through to the darkest deepest black. Suffice it to say I am super impressed with the quality AND I hear that all palettes from now have this formula. YASSS! I had hoped to do a comparison of the 350 palette and this 3502, but I can’t for obvious reasons. However, I can say that if you’re on the fence about getting one of them, and love a warm tone, then definitely get this one. The only drawback is the pigmentation. YES! I said it. The oranges are so pigmented that they will stain your brushes if you’re not super vigilant about cleaning them *ahem I won’t tell you how I know that. 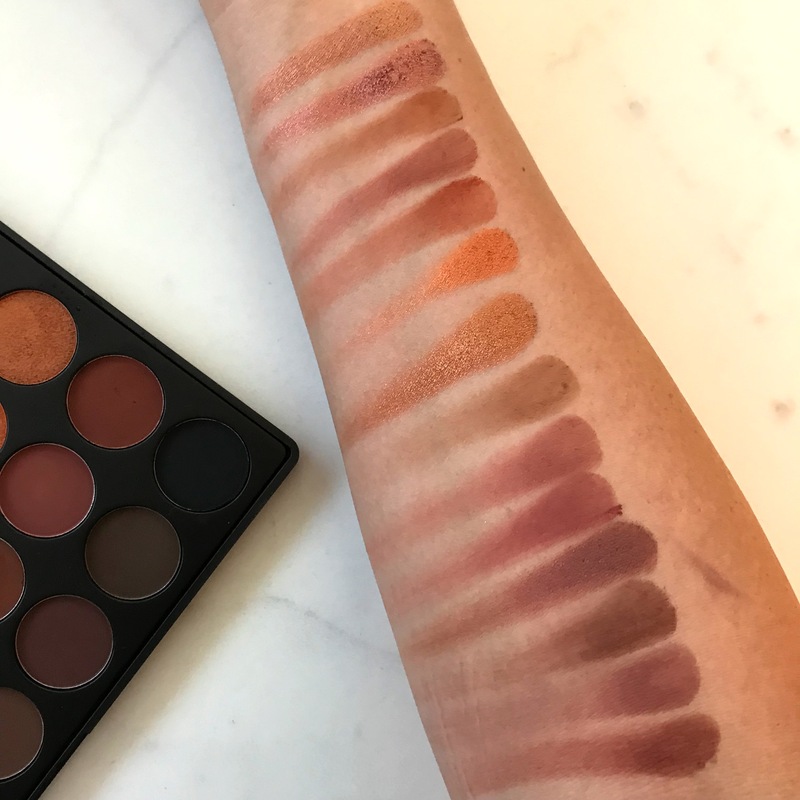 Have a gander at these swatches below. 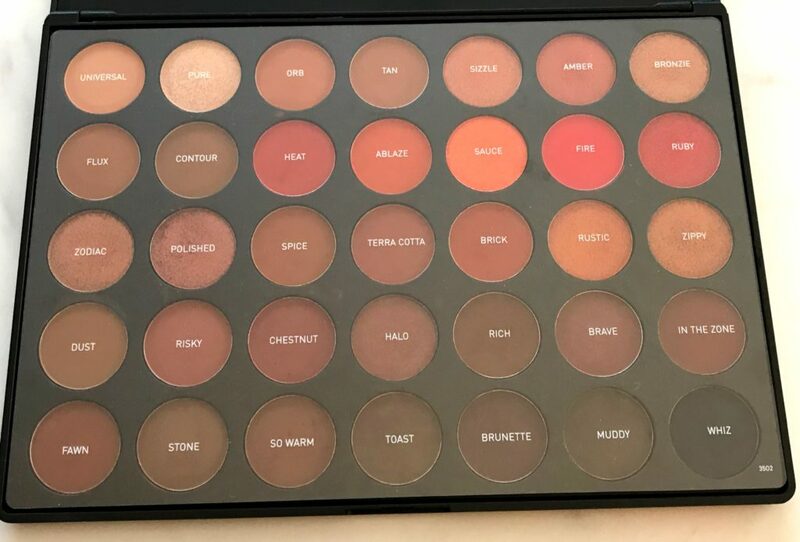 They don’t do them justice, but will give you an idea of how many beautiful shades there are in this palette. If you haven’t guessed by now, then spoiler alert, I love this palette! 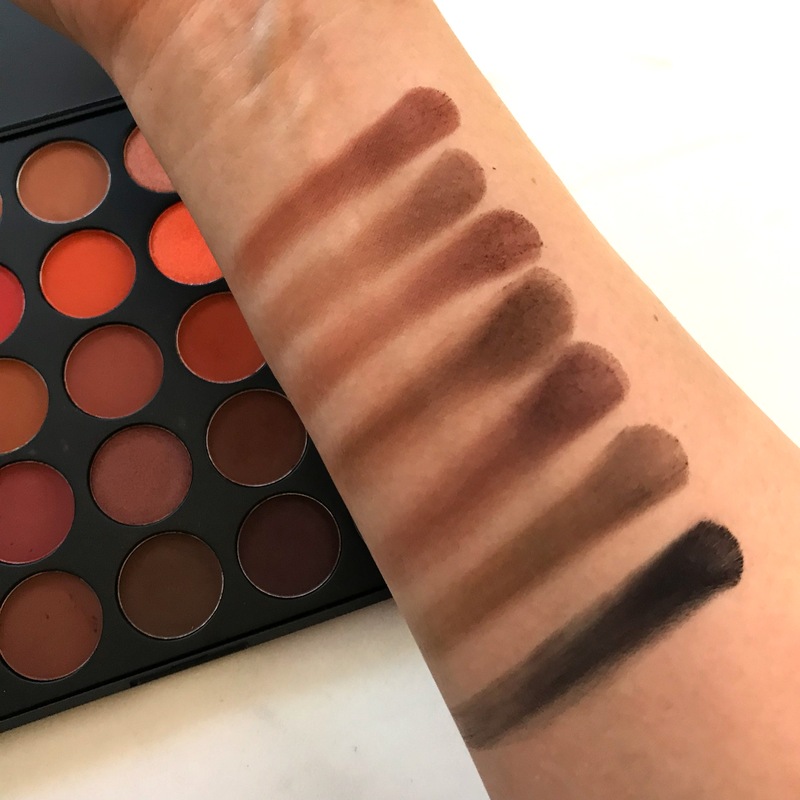 I know what you’re thinking – I bet she shows us a look using all the fiery shades. Well I didn’t because that’s what you’re expecting! Instead I’ve shown, in the look below, how you can use this palette to create a lovely wearable daytime look. 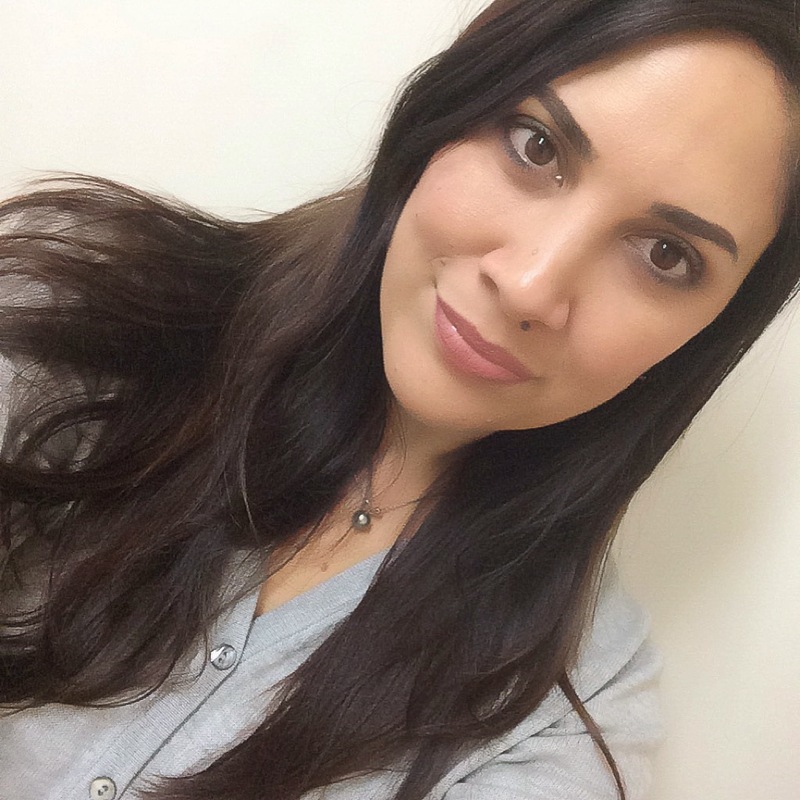 Don’t get me wrong, you can go cray with this one, but the thing that impresses me the most is that it’s so wearable on the daily and with so many options. I bought mine from Beauty Bay. Okay, now that I’ve written this post I know that I’ll need to create a full firebird rising from the ashes look. Excuse me while I order a ring light to cope with what will be glorious.